Zen Bites is a free monthly audio podcast series featuring Mindfulness-based psychotherapist Jamie Shavdia and Zen Buddhist teacher Martin Goodson, with discussion focusing on Zen, Buddhism and Mindfulness, to more generalised themes of Psychology and Spirituality. The podcasts are available on this website (www.jamieshavdia.co.uk), The Zen Gateway (www.thezengateway.com) and on Apple's iTunes (under Podcasts). In this final episode Jamie & Martin discuss how the infinitely complex nature of the mind is often modelled in both Buddhism and psychology. The Wheel of Life, the Nine Worlds of Norse myth, Freud's 'Id, Ego & Superego', Jung's personal and collective unconscious are just some of the ways that have been imagined and used to map the inner realms. These models offer us a map in order to give structure to an otherwise chaotic terrain however in the end this map must be laid down after the arising of the awakened mind. You can download Zen Bites # 20: Mapping the Mind here. 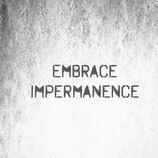 You can listen to Zen Bites podcast # 19: Change & Impermanence by clicking here. Another name for Zen practice is 'acceptance practice'; what happens when we repress something out of fear? How does it continue to affect life? Does accepting something mean the same as 'letting it all hang out'? These question and more are discussed in this podcast. You can listen to this podcast here. Discussion includes looking at what gratitude is, and why it is so important within the context of mindful daily life practice. Contrasting an 'I' based attitude with one that cultivates the relationships between things, as part of a web of existence and how one should practice it? You can listen to Zen Bites podcast # 17: Gratitude by clicking here. In this episode Jamie & Martin discuss the role of the body as a source of insight and wisdom, relinquishing the cognitive agenda and exploring a realm of pure sensation. Topics include the body's innate wisdom arising from a bottom-up rather than a top-down more cognitive approach to spiritual practice, the difference between knowledge and wisdom, insight experiences and a gradual training approach. They also look at practices that can be used to access this wisdom of the body. In this episode Jamie & Martin discuss the spiritual potential of transcending the individual ego and therefore the limited confines of our own cognitive prisons which limit our potential as human beings. Topics range from relative/absolute truth, group dynamics, crowd psychology and the Buddhist doctrine of emptiness. 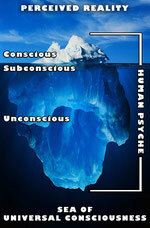 How does sound affect consciousness? Why has chanting always been integral in religious practice? All shall be explored! In this episode Jamie Shavdia & Martin Goodson discuss the importance of the body in the practice of mindfulness and Buddhist practice, as well as the pivotal role of following the breath. 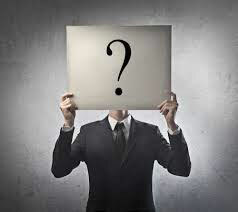 Along the way they also discuss the feeling of an existing 'I' that develops through habitual patterns of thought and emotion, psychosomatic symptomology, Zen Master Hakuin and gumboils. In this podcast Jamie and Martin discuss the mindfulness of eating and drinking, and how a meditational way of being in this inevitable act, helps us to connect with the present moment. Eating and drinking is discussed as an important part of meditational daily life practice in both the secular world but also in a temple environment. Other aspects of the discussion include an eating meditation exercise and the Buddhist view of relative and absolute truth. In this podcast Jamie & Martin discuss the necessity of working with the emotions, as key to transformation of the heart and laying down the delusion of self. They discuss what is an emotion from both a Buddhist and mindfulness perspective; the somatic and cognitive components of affect and why it is important not to judge emotions as something to 'get rid of'. Instead to recognise their elemental basis and the importance of humanising them so that they can inform 'being' rather than become squandered in obsessive compulsive behaviour. Zen Bites #8: Working with the emotional household can be downloaded here. In this podcast Jamie and Martin discuss the act of walking in meditation, and how movement helps us to connect with the body and in turn the present moment. Walking is discussed as a practice in several of the Buddhist schools, as well as other religions and spiritual ways of life. Other aspects of the discussion include Wu-wei (non-intentional action), and walking as part of the pilgrim's journey. In this episode Jamie & Martin explode the myth that meditation is only carried out in a sitting position and discuss how the mainstay of a Buddhist Mindfulness practice is to take it off the cushion and into daily life. They discuss different approaches to this practice; looking at the elements involved in setting up a practice in daily life; plus the importance of working with the emotional household as the key to transformation of consciousness. Zen Bites #6 - Mindfulness in daily life can be downloaded here. In this episode Jamie and Martin discuss the emergence of the compassionate heart in Buddhist training, uncovering what is intrinsic to every sentient being and fundamental to the/our Buddhanature. Discussion also covers the recent adoption of compassion training in western psychotherapy. This podcast can be directly downloaded from here. Download Zen Bites #4 here. In this episode Jamie Shavdia and Martin Goodson discuss what mindfulness is actually for, and how the context for Mindfulness varies considerably depending on whether it is cultivated towards religious or therapeutic ends. They also discuss the effects on perception which can result when glimpses of no-mind arise. Podcast can be downloaded from here. In this episode Jamie Shavdia & Martin Goodson discuss whether Mindfulness is a technique or a way of life? What defines the mindful awareness state? How is it attained? Along the way they discuss a history of MIndfulness-based therapy, the Buddha's teaching of 'No-I' and where next for a Mindfulness practice? You can download the podacst here? Zen Bites' is the first in a series of podcasts featuring CBT & Mindfulness Psychotherapist Jamie Shavdia and Martin Goodson co-founder of the website The Zen Gateway. In Zen Bites #1 (entitled Who am I?) discussion ranges from the nature of consciousness to the realisation of mortality, compassion and…….Alan Partridge. YOU CAN LISTEN TO THE PODCAST BY CLICKING = here.